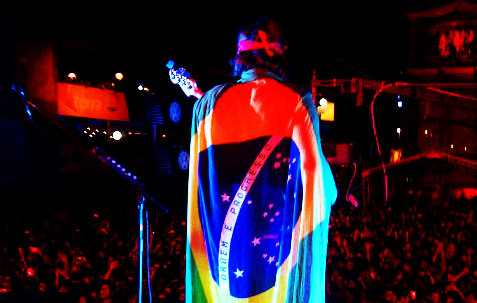 What an amazing way for The Strokes to end their tour for the year – Nikolai wrapped in a Brazilian flag, Fab talking Portuguese to the crowd, yeah seriously their gigs in South America always seem such fun. Download Videos . Thanks to Gabriel for the high quality.